I’m Denton Olde, Certified Financial Planner(tm) and Financial Advisor. I help individuals and families grow and protect wealth. 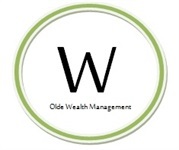 I have been helping clients with financial planning and investing since 1993.
provides ongoing help with the management of your assets. I manage your accounts and do all trading for you. cost of this service is a small percentage of assets. Please call to set up a complimentary appointment! Below are a few independent web sites with more information about me and my services. Please click the links below to learn more.